Maxine Waters for President in 2020. MAXINE WATERS PROVES SHE READY FOR THE PRESIDENCY. Maxine Waters has led her baying minions to REJOICE at public harassment and mob attacks against Trump officials. She is the type of strong, black woman who can lead democrats to victory. ***Click here for full details***. 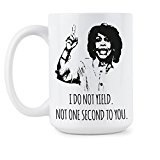 MAXINE WATERS - is she a uniter or divider? Watch this video and make your own decision. New paragraph.Link to video -http://boomerspeaks.com/23882/56582.html . CLICK TO WATCH VIDEO https://www.facebook.com/deneenCRTV/videos/353520441849600/ . OR, CLICK HERE: https://www.facebook.com/deneenCRTV/videos/353520441849600/UzpfSTI2NzQxODc3Mzc5MzEwMTpWSzozNTM1MjA0NDE4NDk2MDA/ . MAXINE WATERS LEADS DEMOCRATIC PATY'S TRUMP IMPEACHMENT MOVEMENT. Waters took on a leadership role in the Democrat Party in 2018. She has successfully rallied mobs to terrorize Trump officials in public. “Let’s make sure we show up wherever we have to show up. And if you see anybody from that Cabinet in a restaurant, in a department store, at a gasoline station, you get out and you create a crowd. And you push back on them. And you tell them they’re not welcome anymore, anywhere. We’ve got to get the children connected to their parents,” Waters said. Last summer, a Bernie Sanders supporter tried to murder Congressional Republicans during their baseball practice. There is no limit to how far Maxine's supporters will go. Waters speaking in Washington, D.C., said Democrats needed to “knock off” Trump. "Knocking off” someone is slang for killing them. MAXINE CALLS FOR MORE HARASSMENT OF TRUMP SUPPORTERS. Liberal, progressive democrat "Maxine Waters is obsessed with President Trump. As an experienced black woman she may become the Democratic Party's choice for presidential nominee in 2020. The California Congresswoman went after the president while accepting an award from the Stonewall Young Democrats on Saturday, Sept 8, 2018, in Los Angeles. At one point in the 20-minute speech, she bragged about threatening Trump supporters. Speaking about Sen. Dianne Feinstein’s apology to Judge Brett Kavanaugh for the dozens of people interrupting his confirmation hearing this week, Waters said, “We don’t ask permission to protest. We protest,” triggering cheers.“When we understand that we have to make America hear us and see us, and understand that we all have something to say,” she said, before adding she was going to give Feinstein a piece of her mind. Waters went on to boast about when she urged her supporters to find Trump administration officials and harass them. .
MAXINE WATERS, THE NEW LEADER OF THE DEMOCRAT PARTY AND POSSIBLY THE FIRST, BLACK WOMAN PRESIDENT IN U.S. HISTORY says Trump ‘Will Be Impeached,’ Democrats Should Make Impeachment a Central Issue. Holding on to her new role as figurative leader of the Democratic Party, "
Democratic Rep. Maxine Waters (Calif.) on Sunday, 8/26/2018, said that President Donald Trump "will be impeached" and criticized her party for not making his removal from office a "central issue" while taking their electoral case to the American people. 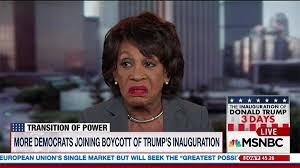 "I believe, of course, that this president can be impeached, will be impeached, and certainly has committed the high crimes and misdemeanors that is [sic] identified by the Constitution as such that would qualify him for impeachment," Waters said on MSNBC. Waters appeared on the network to discuss the fallout from former Trump lawyer Michael Cohen's guilty plea in federal court last Tuesday. Cohen also implicated the president in a potential campaign finance violation as part of hush payments to women claiming to have had affairs with Trump. Also on Tuesday, former Trump campaign chairman Paul Manafort was convicted of eight charges in a tax fraud case. Waters, who released a statement last week saying the new developments would lead to "real articles of impeachment," told MSNBC that people are starting to realize there is "something real about all of this." Let's make Maxine Waters the Democratic Party nominee for President in 2020. She's a woman and she's black. 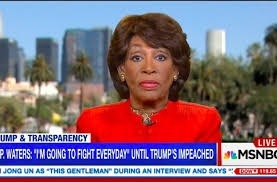 Maxine bravely demanded President Trump's impeachment just 18 days after his presidency started. The deplorable, Muslim hating, Islamophobic, Trump supporters may laugh at Maxine, but Trump and his deplorables will be wailing in the streets when the Democrats make Maxine Waters the Democratic Party nominee for President in 2020. Support Maxine. She is a 'liberal' on whom democrats can always count. Get the latest on the Internet about Maxine Waters. In a desperate attempt to stop Maxine from becoming president, white supremacists in Congress sanctioned her for calling for harassment and intimidation of Trump supporters. MAXINE WATERS IS ONE STEP CLOSER TO BEING PRESIDENT. Maxine Waters revealed on Sunday, July 24, 2018, that God had sent her to take on President Donald Trump. Waters accused the president of being intent on “taking America down,” rather than living up to his 2016 presidential slogan of “Make America Great Again.” The 79-year-old lawmaker announced, "God anointed (me) to help lead the fight against the Trump administration. “You’ve gotta know that I’m here to do the work that I was sent to do, and as pastor said to me when I came in this morning, when God sends you to do something, you just do it!” she exclaimed. “So I have a message I’m going back to Washington tomorrow morning, I’m going to tell them pastor told me to come here and just do it!” . MAXINE WATERS WARNS THOSE WHO HARASS HER TO "SHOOT STRAIGHT"
Rep. Maxine Waters (D-Calif.), who called for harassment and intimidation of Trump supporters, has now addressed a series of recent, alleged harassment calls with death threats. Maxine claimed she has told would-be threateners to "shoot straight" during an immigration rally on Saturday. “I know that there are those who are talking about censuring me, talking about kicking me out of Congress, talking about shooting me, talking about hanging me,” Waters told the crowd in Los Angeles. “All I have to say is this, if you shoot me you better shoot straight, there’s nothing like a wounded animal,” she added to cheers. 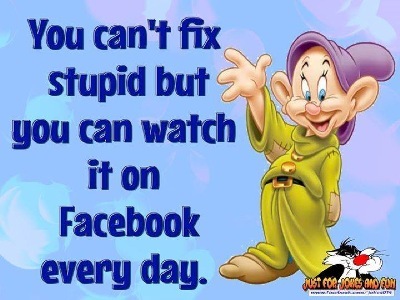 Few are as intelligent as this wonderful lady, Maxine Waters. Maxine Waters 2020, has all the qualifications to be out nation's first black woman president. Facebook blocked "Maxine Waters 2020" and refused to provide an explanation.
.***Click here for full details***.